As early as 10 am this morning, while people were gathered in the above church worshiping, a man wielding a knife ran into the church where he attacked and stabbed three worshippers. One of the victims is said to be in a stable condition and his injury, not life threatening. A 46 years old man was arrested and charged with attempted murder. According to the West Midlands police spokesperson, "early indications show that the attacker and victim knew each other, and it is a targeted attack"
More facts awaited as on family members are allowed to visit the hospital at the moment. A teenage girl and three teenage boys are being searched for following an acid attack last night on Hawkshead Street Southport. This is reported to have happened about 9.35 pm. An innocent man walking home was attacked, and after being hit severally he was further attacked with acid poured over his face. According to the police report, his wallet and phone were taken by his attackers. Simon Vaughan of Merseyside Police stated that violent attacks like this one will not be tolerated by the police and he promises it is a rare incident and the search for the four teenagers continues. This is scary and yet shows the level of crime in the society. Staffordshire County has exposed the attempted murder of a new born by the birth mother on Friday 8th of September 2017, when the Crown Court heard that a woman had secretly given birth, stuffed the baby in a plastic bag and hurled her out of the window. Although Metro specifies that the baby survived the fall, there is, however, severe injuries including bleeding on the brain.This is horrendous! In a country where fostering and Adoption are highly encouraged and supported. Judge Michael Chamber QC stated that the act was "premeditated, grave and appalling". This mother was sentenced to ten years imprisonment. Barbuda was hit so hardly by Irma; hitting over 90% of her structures, yet a much stronger Jose has been said to have approached the Atlantic. There is news on a further hurricane in Barbuda and Antigua; two countries that have just been recently hit by Irma. A 23 years old mother who killed her own toddler was jailed last year. Another serious Case Review where agencies have failed a child in every way. This case review published today 5th Sept, has again reminded the social services of the poor practice revolving within Children Services. It must be highlighted that the child's needs must be paramount in every practice and professionals must not over emphasize on the needs of the parents or carer. but must unpick incidents and information shared and how they were shared. There is a great need to work together and on time information sharing to be put in practice. Derbyshire County promises to make changes and to improve safeguarding. I would say staff need to trained and tested for compliance to practice. Medical incidents and previously recorded injuries were omitted, therefore leading to prolonged abuse and lack of safeguarding and protection. Ayeeshia's injuries were described by doctors to be similar to those found on car accident victims. How badly could have the life of this young girl been before her death? What is the excuse? how was this level of abuse missed? The UK tries its best to ensure that disabled residents get the support they need. This is a fact. However, some ungrateful, greedy people have chosen to make this good gesture seem unreasonable after all. How could a healthy woman and her husband, adamantly continue to receive support that is meant for people with actual disability. Claiming to be severely disabled, Mrs. White received over £150,000 from Government Funds. Through surveillance, The Fraud Team was able to identify Mrs. White's double life and with all evidence gathered, arrested for benefit fraud of £152,000. However, BBC documentation stated that Mrs. White had shown no remorse towards her actions. 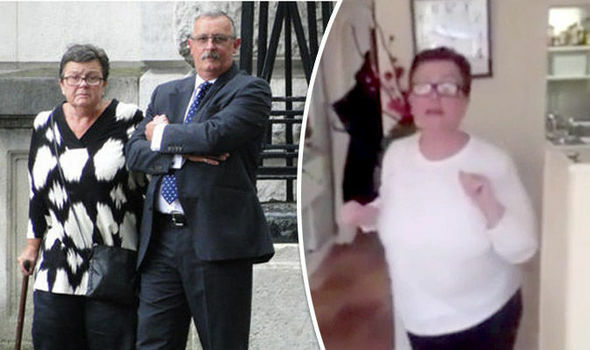 Mrs. White, a 56 years old woman who claim disability allowance and living a posh council property in Etham- Greenwich Council, claimed it to be her only property but her husband had given his address as Broadstairs, which was found unrealistic considering the distance to Etham and he being the only carer for a severely disabled wife. 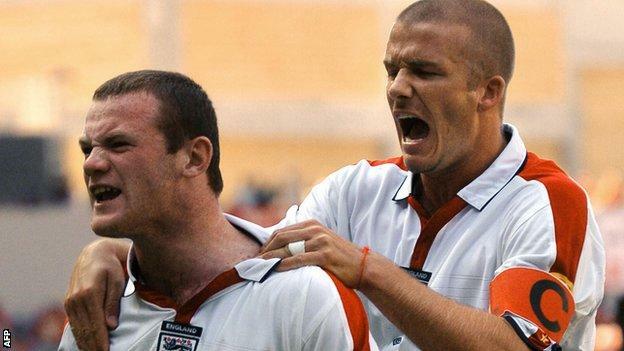 BBC has announced the retirement of England Captain Wayne Rooney, who scored about 53 England goals in 119 appearances. Rooney was not only England captain, but a valued footballer in Man United and Everton. Ending his career earlier than he would have, fans await the real story. How would history judge Wayne Rooney's England career. South Africa seems to be willing to grant Grace Mugabe immunity in South Arica the Guardian tells us. Grace Mugabe was said to have attacked Gabriella Engeles (20), who claimed she had been chilling at a hotel with Mrs. Mugabe's sons. Although she claims to be in the hotel with Mrs. Mugabe's sons, she also added that they were in the next room. I just wondered why Mrs. Mugabe would attack a total stranger who was next door from her sons' hotel room. Was she unwell? This story seems incomplete. No wonder the South African Government. The spokesman for the president has today informed BBC. President Koroma has declared 7 days mourning in the country as well as pleading for support from all part of the world. About 460 people confirmed dead and mean still missing. It was indeed a sad day for Freetown and families are still broken either by death or loss of their loved one. The people and children without families now ask the government to help support their present condition. On the other hand, the government plans a mass burial for the victims. Only our support can help the current situation. "Ever little helps" in this very situation. 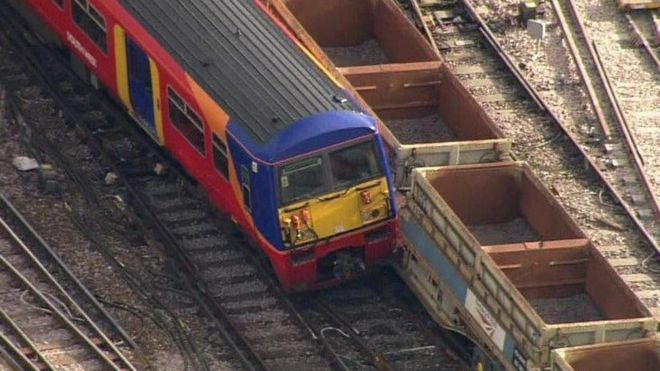 Early this morning outside the London Waterloo station, one of the busiest station in London, a train derails shortly after leaving the station platform at a low speed; Network Rail said. Additionally, a passenger train crashed into buffers at King's Cross Station; carrying 23 passengers and two staff when this happened. Similarly, Holborn Station was closed due to fire outbreak earlier today. 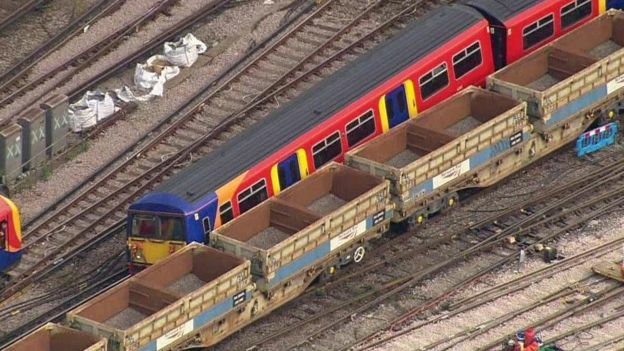 These disruption has led to delayed travel and Network Rail advises commuters to use other means of transportation. The capital of Sierra Leone; Freetown, has witnessed an enormous shift in weather leading to the death of about 200 people. 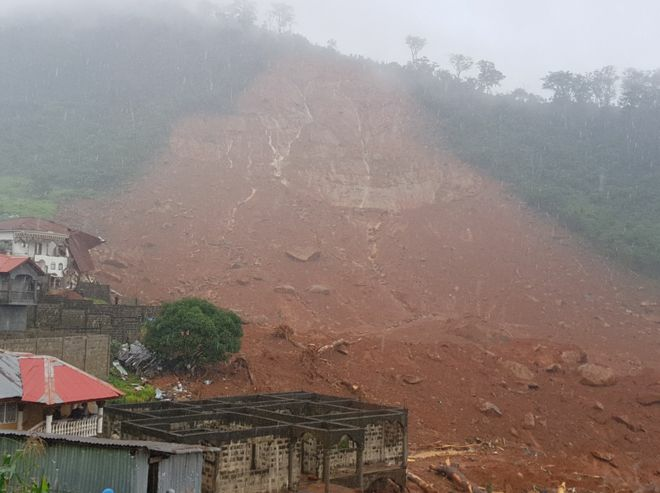 Following the heavy rain on Monday 14th Aug 2017, a hilltop collapsed, send down a mudslide. A BBC reporter at the location at the time of that many people must have been asleep at the time of the change. According to BBC, the Vice-President Victor Bockarie Foh, "likely that 100s are lying dead"
Statistics show that more lives are possible to get lost. 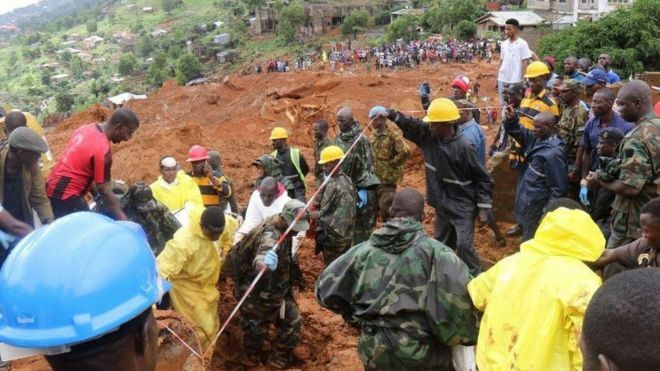 Locals tried to recover bodies from the mud with their bare hands. Many still feared to be trapped indoors in their homes. Eastern Nigeria continues to experience gun attacks in churches. Only five days ago, on the 6th of August, St. Philip Catholic Church Ozubulu witnessed what was tagged "BLACK SUNDAY" This was a sad day and remains an unimaginable memory for all. Unfortunately, this is not the end of the evil deeds of some sadists. Today, there has been another episode of gunning, leading to the death of about twelve people at the Assemblies of God Church Onitsha. Some police men were attacked during the shooting and innocent worshipers shot to death. More information to be relayed soon according to Vanguard News. STOP! Never talk about not having opportunity in life until you see these clips. We are what we make out of ourselves. I often hear people saying things like; "if only I had an opportunity early in my life, I would have made something out of life for myself". My question here is: what do they mean by an opportunity early in life? I have lived long enough to understand that we are the creators of our own future. Whatever you model as your life is what you will live in. Design your life with targets and strive to meet those targets, and in return, you would enjoy a settled life; possibly free of regrets and moans. Or if you are one of those that are never satisfied or happy with what they have, you may continue to regret and moan about what would have been better. A friend of mine recently posted on Facebook, asking why people talk about the life they have lived using "if only I had done this or that", instead of "I am glad or I am pleased with who I am". Again, I will remind you that your life is a million times fulfilled and cherishable no matter what the difficulties you think you are having or may have had. As long as you are healthy, living a life of independence and not thinking of what the next minute may bring to your life and that of your loved ones, please stop lamenting!!! get up and get a grip of yourself. After watching these clips am sure you will agree with me that you have had life easy on a platter of Gold even. These are real people going through big ordeals in their lives yet they are grateful for life. The fire which killed a young man; Cameron Logan on New Year Eve, and burnt his girl friend, has today been confirmed to be caused by his brother Blair Logan and he has been charged with the murder of his brother and attempted murder of his brothers' girlfriend. Blair Logan poured fuel over his brother (23 years old psychology graduate) and his girlfriend; Rebecca Williams (25), a radio journalist, as they lay in bed and set them ablaze. Blair Logan's action also put his parents at risk and led to the death of Gomez; their dog. Although the Lady Scott of the High Court of Edinburgh said it seems to be out of character for the young man, she also acknowledged that Blair had "acted with wicked recklessness" and his brother died a "horrible death". Cameron has died a painful death and his family continues to mourn him. We greatly sympathise with the family Having been sentenced up 20 years imprisonment, the family stands to bear the grief and loss of their children. 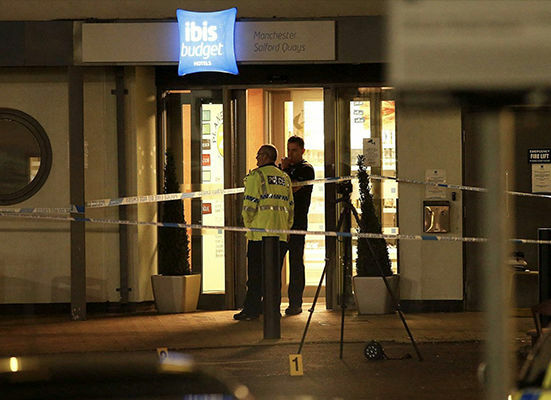 A young boy has been hit by a car at the Ibis hotel in Slford Great Manchester, after being hit at least more than twice by a unidentified car. There were eye witnesses and the police arrived at the scene about 10 pm on Thursday 10th of August; shortly after the incident. Sexual harassment on social media is seeming increasing in every aspect of a woman's life. It is no longer story that women have been publicly disrespected and made figures of mockery, as though they have no right to challenge this level of disrespect. The society seems to be eager to see fun and reason to laugh at the slightest social media clip of a woman's body and how it is disrespected. But what is surprising is the fact that women themselves are beginning to enjoy the mockery and disrespect dished onto them; I would think maybe due to ignorance. My personal opinion anyway is that a woman should be respected as well as a man. The body of every woman is worth something to them or to someone special. Humiliating that body means abusing that woman and any special person in their life (husband/ boyfriend, children, and close family members). Watching the Instagram clip below, I suddenly felt this strange urge of dislike and it is shocking that I saw some ladies like it and even commenting on it in a humorous manner. My question yet is why would Instagram allow this level of sexual harassment grow on its pages? Wizkid: The “COLLABO” Master is on it again! The young Nigerian musician with the zeal of musical collaboration, ranging from African to European has announced his new duet called; "collabo" with Damien Marley. Wizkid who was nominated for over 157 awards and won 44 was in 2016, the 'African Artist of the year' at the MTV African Music Awards (MAMA) in South African at the maiden edition of the soundcity MVP Awards respectively. The youngster has won BET award and still kicking on his achievements. Wizkid has kept it up from his performance to his personality. Announcing this new collaboration with Damien Marley yesterday 20th of July via his twitter handler- @wizkidayo, he shared his joy and happiness! ‘Bullying’, as may be known by all is increasing and affecting lives and families globally. A division of bullying, known as school aged violence includes violence on a child within school premises, on way to or from school, school buses and school related trips. This is becoming a horror in lives of adults and children. The pain, loss, trauma and unlimited feeling of sadness that clings on the young person and or the parents are unimaginable. But the question here is; why is this becoming increasingly unnoticed? Why the blind eye? It is wrong for this behaviour to carry on but the answer is within us. The communities, friends and neighbours, parents and school staff especially to work together for a better tomorrow. The rate of violent attacks on young people by their peers or other adults is currently increasing. 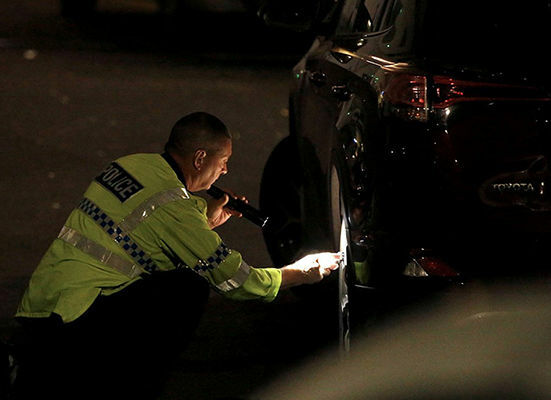 A lot of sad incidents have been experienced in the UK this year. Lots more have been shared via social media. Yet this is not stopping. Innocent kids are being attacked and bullied leading to possibly damaged adulthood. Surely we can do something to stop this; parents, police, schools, authorities and neighbourhoods as a whole. BBC today confirms that President of Nigeria has today; Mohammed Buhari has handed over to Yemi Osinbajo. Buhari who had been off sick from his post for a number of months is yet to return to Nigeria. It has been a sad few days for families and public as a whole since the Grenfell Tower Blaze. There has been continuous support by the public and other agencies. Aamer Anwar, Human Right Lawyer speaks firmly of the possible criminality of this incident. Would we think he is over reacting? 4 Years Old, Presumed Mute, Autistic, Dies of Starvation in London!!! Evening Standard has today shared a sad story about a lone family. 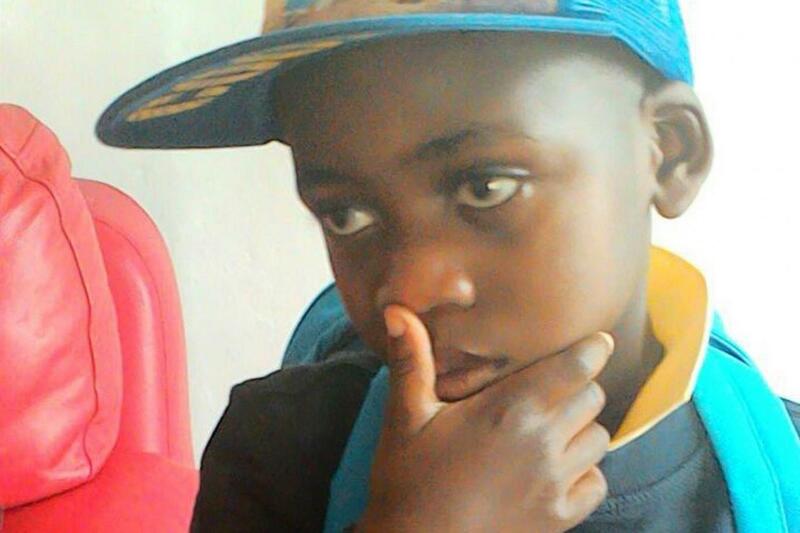 Chadrack Mulo was a four-year-old boy who lived in Hackney area of London with his mom Esther Ekiti-Mulo. Chadrack was presumed mute, he was autistic and died of starvation following the death of his mom, who is said to have died at least two weeks before the death of Chadrack, who was found clung on his mother's body. This is a sad and shocking story. Especially in a society this big. However, it tells us that isolation is a dangerous route. A language barrier is also a challenged faced by immigrants and could make then isolated or lack confidence in themselves. Was Chadrack now to the Local Authority as his health needs sound complex, what do you think? 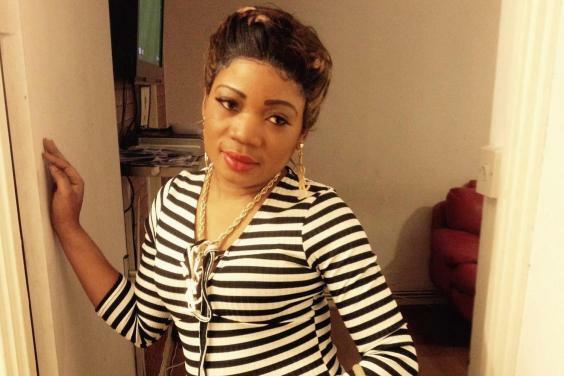 Esther's death is classified as "sudden epilepsy"; does this mean she was not known to services? It is unfortunate that Esther is not in contact with her family in Britain; may be Chadrack would have been saved. May Chadrack and his mother have a peaceful rest in The Lord. Its all about "Ask Aunty B"
Really, I found this clips very interesting. The creativity put into it made a clear description of the saying: "to live a creative life, we must lose our fear of being wrong". I applaud the setting and believe it when i say it interesting; it shows family, love, support and a parent supporting a child despite the difference in lifestyle but including all the fun that money can not buy. It's being a while since I wrote on my Blog page and for this I apologise. I have not forgotten my fan and viewers, not for one minute. But as we know, life is molded to suit the success that comes with in. I am a full time student, mum, wife and mentor to my kids. Yes "kids"; two very lovely, active boys. As we know, kids need us all the time and everyday to be there and to support them along side every other thing that we may be involved with. So this year for me has been the most demanding and yet most important part of my life. Some how i dabbled into a conversation where a friend crushed my feeling. Yes crushed!!! This friend strongly believes that being lucky is foundation for success. He also believed that there are people who are classified as lucky for some "reasons". On the other hand, I insisted that success is about the attitude an individual possesses. With the right attitude, I believe anyone can be successful. So please my friends, readers and mostly parents support and mentor your kids to have the right attitude towards life for a blossom success. Piercing and body modification; new age or self-damage? It is rather amazing to see the length at which the young people and the current lifestyle choices youngsters are opting for. How do we explain the extent of damaged these may cause to their lives? Fair enough, it is a choice! but yet, it seems self-destructive; may be intentional or not, it could be a drunken act but it may as well be a sign that all is not well. How can we call it a fashion? It is called corset piercing but the look of this is painful to a fault. What more can we see the society turning into and is there any sign of help for this sought of mind frame?